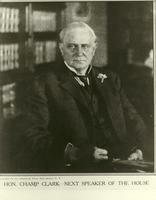 Subject contains "Clark, Champ, 1850-1921"
Portrait of James Beauchamp Clark. 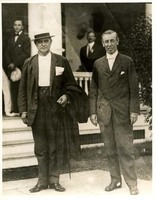 Picture of James Beauchamp Clark next to his bust. 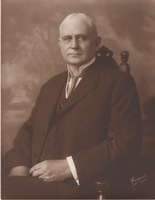 Photo of James Beauchamp Clark. Text reads, "Hon. 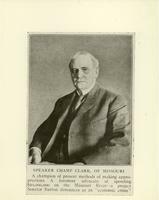 Champ Clark--Next Speaker of the House."